A community outreach program whose mission is to surround the disadvantaged citizens of Harford and Cecil Counties with legal education and advocacy regarding issues that impact an individual's and family's well-being. HCBF holds clinics, workshops, provides direct representation and collaborates with other non-profits regarding abuse, custody, homelessness, bankruptcy, employment, individual rights, and end of life decisions. The HCBF team works to find a way to assist through direct referrals to legal, local services, or organizations based on the unique need(s) of each client. Brief advice seminars and clinics held at senior centers across Harford County in collaboration with the Maryland Department of Aging. Call HCBF, 410-836-0123, for clinic schedules and to setup your appointment. Legal advice clinic staffed by local attorneys held each Tuesday at the Harford County Circuit Courthouse in Bel Air. Call HCBF, 410-836-0123, for clinic schedules and to setup your appointment. Brief legal advice clinic staffed by local attorneys held once a month at a different public library around the county. Call HCBF, 410-836-0123, for clinic schedules, locations, and to setup your appointment. Harford County Bar Foundation is a 501(c)(3) charitable organization. Note: Although we are legal services provider, Harford County Bar Foundation has no attorneys on staff. Staff members cannot offer any legal advice or representation. 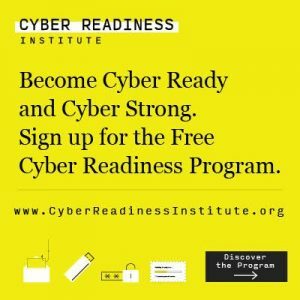 Are You Cyber Ready & Cyber Strong? Click the image below to learn more about this program. ©2019 Harford County Bar Foundation. All Rights Reserved.